Red Mold Bathroom – Mold can be considered a common problem you can find around your living area. 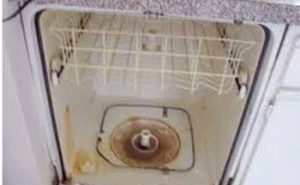 Just like other mold types, this mold has a potential to create bigger problems if it is not dealt immediately. 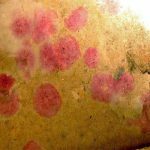 Red mold often start as small spots, and then grow into bigger specks as time goes by. Large colonies may become destructive, especially if they grows around your house’s structural parts. Other than damaging your house, red mold can also possess some negative effects to our health, specifically for people with impaired health condition. 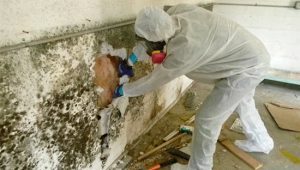 Thus, it is important to understand the characteristic of this mold and how to remove it from your living space. Red mold is not caused by one species only. 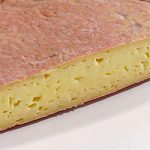 Some of most common species that generates reddish color are Fusarium, Aspergillus, and Rhodoteorula. There are also other species that create reddish shades only during certain phase of their life. However, those three mentioned before are the most common one. Other than the color, this mold also produces typical musty smell from mold. Just like other types of mold, red mold possess health risk only towards vulnerable groups, as long as its size is still tolerable. Those vulnerable groups include elderly, infant, toddlers, children, and people with compromised immune systems, allergy, and respiratory problems. Even if healthy people eat them, the least reaction you may get is stomach upset or nausea, and the reaction will be transient. 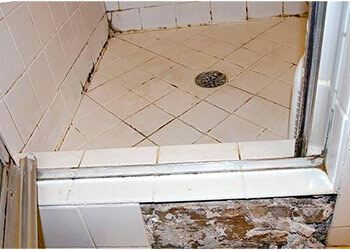 One of the most common place for red mold to grow is bathroom. Red mold bathroom is very common due to the damp nutrition condition of a bathroom. Inside a bathroom, soap and shampoo residue combined with various dirt are good source of nutrients for red mold. 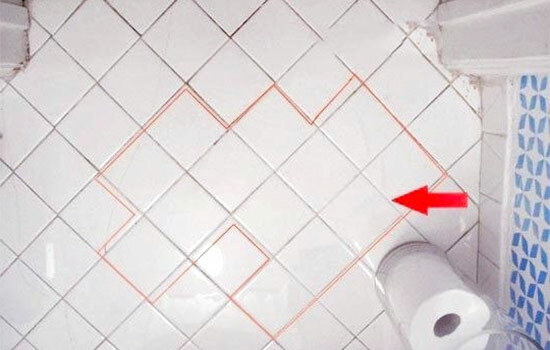 The colony of red mold bathroom commonly occur as little red specks. During this stage, you can remove it easily by scrubbing it. However, it may come back if you do not take care of your bathroom. As time goes by, they will be harder to clean and wider in size. This is where you need special treatments to remove these red mold bathroom. Make sure the covered area is no wider than 10 square feet. Wider surface may need professional services. Prepare your face mask, gloves, and googles to protect yourself from the mold and harsh chemicals you use as the cleaning agents. Open your window to give a better air circulation during cleaning, and close your vents to avoid spreading spores to other parts of your house. Soak the area covered by red mold bathroom ceilingwith a mix of warm water and solution of detergent and let it dry. Make a mixture of bleach and water with 1:1 composition and spray or soak the area with this mixture. Wait for around 20-30 minutes and soak the covered area for a second time. Let it dry for 20 minutes. Wipe or scrub those area until you can no longer see any red spots. 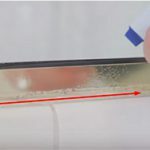 These steps generally work with other red mold occurrence, including red mold bathroom shower. After the cleaning process is over, treating your bathroom is very important to make sure red mold growing in bathroom anymore. The spores of this mold may still survive even after cleaning and they may grow into red mold bathroom if your bathroom still offers them nutritious condition. 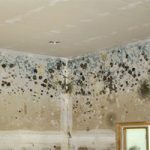 The best way to control mold growth is to make sure your bathroom is always dry. Increase the ventilation in your bathroom or add an exhaust fan to maintain the moisture level. Repair water leaks if any, and regularly clean up your bathroom to kill the remaining mold spores. To sum up, red mold is generally harmless for healthy people, unless they grow out of proportion. Red mold bathroom is a very common occurrence, and as long as it does not cover more than 10 square feet area, you can clean it up yourself using bleach and mild detergent. 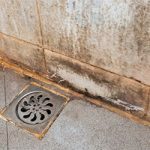 Related Posts of "Red Mold Bathroom: Overview and Tips to Remove It"